I like to think of WWDMAGIC as a huge fashion marketplace full of inspiration and discoveries. 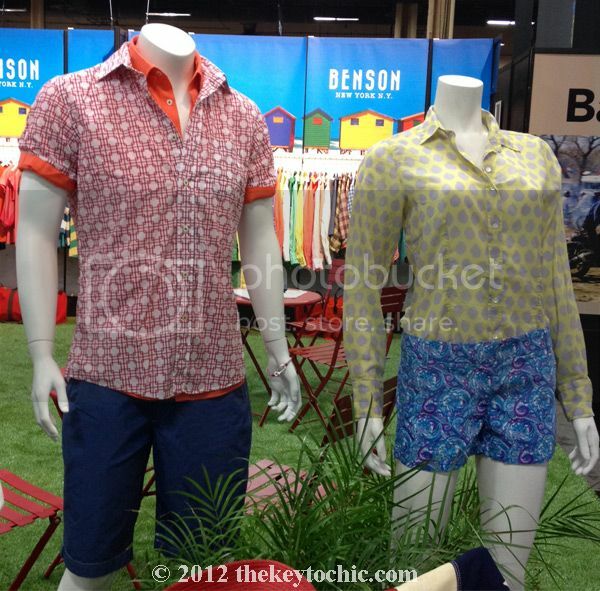 While wandering the trade show floor, I browse the booths and pause when something catches my eye. It's an alternate form of shopping, although I'm there as a blogger instead of a buyer. This August, I spent time discovering new brands as well as connecting with brands I've loved for years. Here is a roundup of the top ten brands that offered up the most memorable pieces. 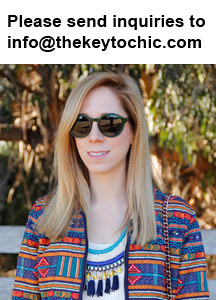 Gypsy Junkies, a Los Angeles-based brand, not only gets it right with their fun prints and carefree silhouettes, they understand how to use social media and connect with bloggers. 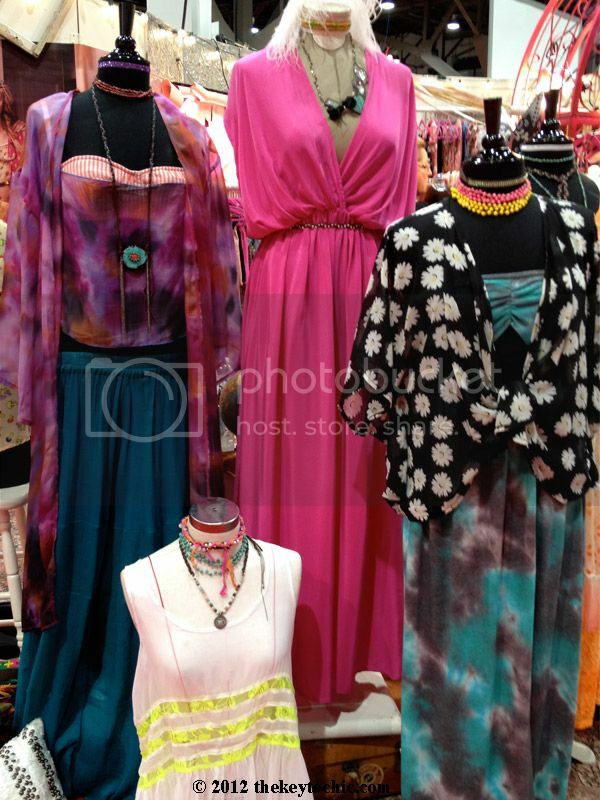 Their clothing balances fun shapes and bold prints with a youthful, bohemian attitude that I find appealing. The handcrafted cutoff shorts by Lacau instantly grabbed my attention as I contemplated having an early lunch. Once I spotted the various D.I.Y. 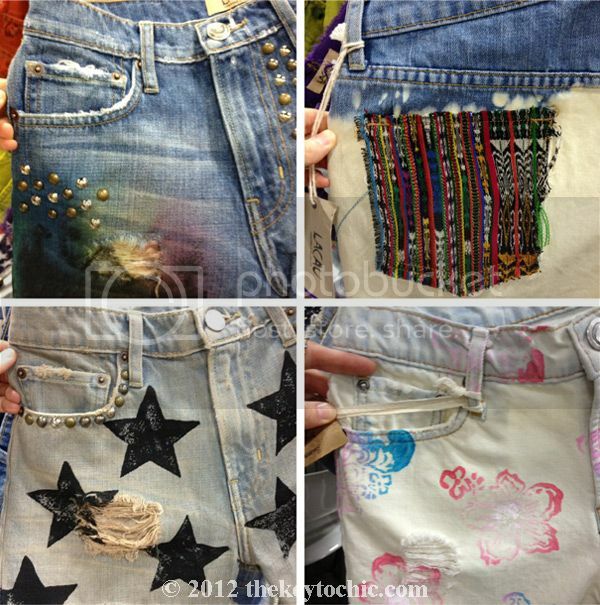 effects with studs, stencils, and fabric patches, lunch suddenly became an afterthought. All of their pieces would be right at home on the racks of LF. Favorite footwear brand Volatile draws me in each season with the selection of prints and trends they produce. 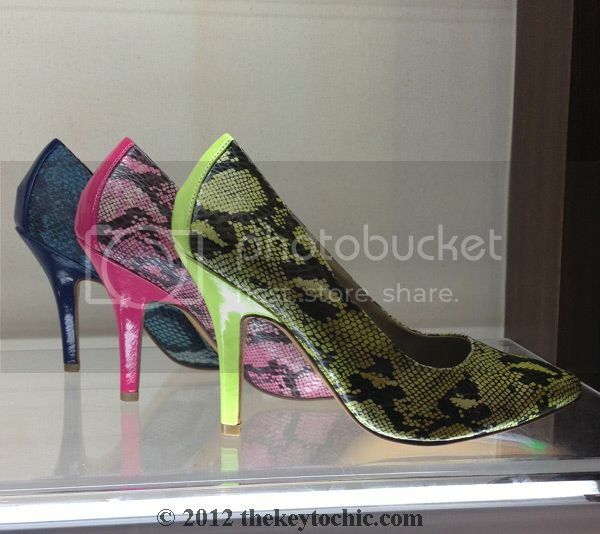 While I loved their Western boots and printed sneakers that I featured via my Instagram, these bright snake print pumps looked super sleek and polished for spring 2013. 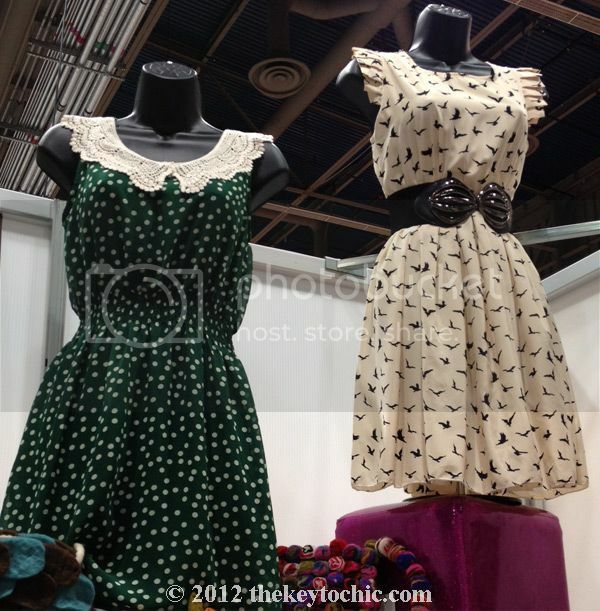 Although I love studs, fringe, and leopard print, I can also appreciate a feminine frock. These printed versions by Fuchhi epitomize casual elegance. The embellished neckline and sleeve details are also perfectly on-trend for 2013. Knowing me, I'd pair them with ankle boots for a laid-back look. 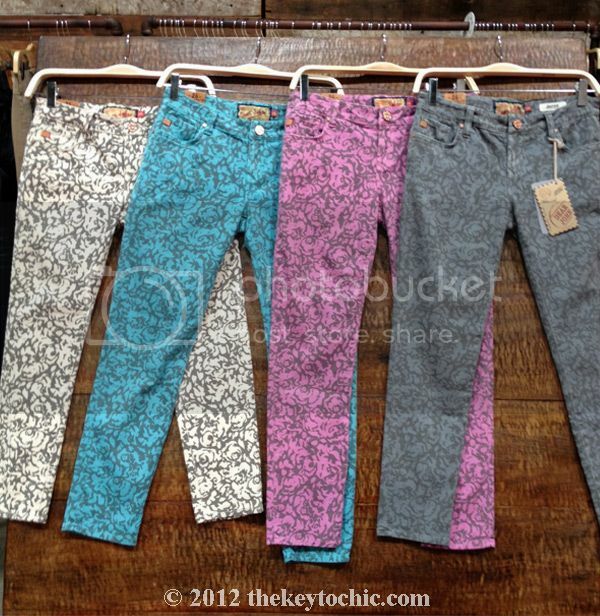 The debut denim line by Dear John featured fun prints and colors in spot-on skinny fits. These floral versions would be right at home in my closet next to my collection of chambray shirts. 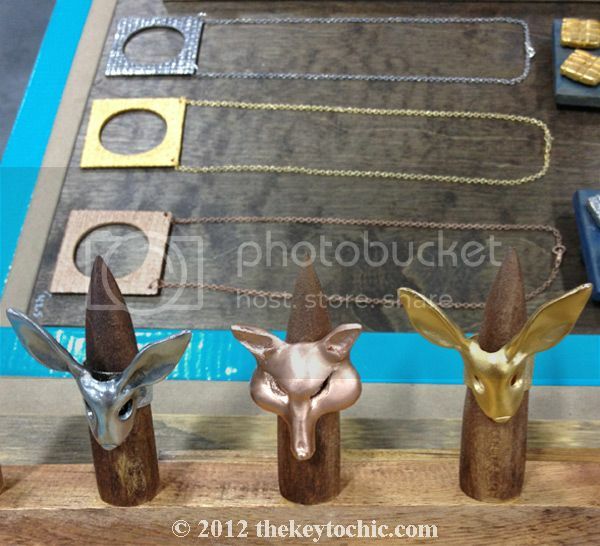 These animal rings and geometric necklaces from F is For Frank drew me in at first glance. This is the kind of jewelry that I find joy in wearing. You just have to smile while wearing an animal ring. I couldn't finish this post without a nod to my personal style. Alas, here is my ideal pair of fall/winter ankle boots by Dolce Vita. 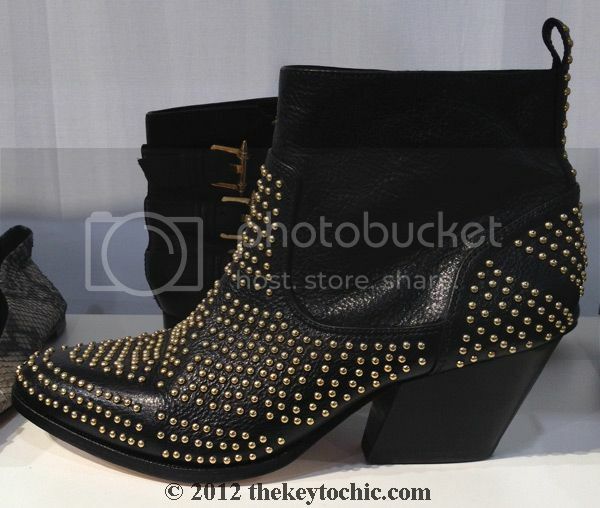 Tiny gold studs smattered around a low-heeled ankle boot could not be any more perfect for me. These will be delivered around November, and you can bet that I'm counting down the days so that I can make them mine. I'll probably wear them with just about anything in my closet. Los Angeles line Audrey 3+1 has been on my radar for a while. 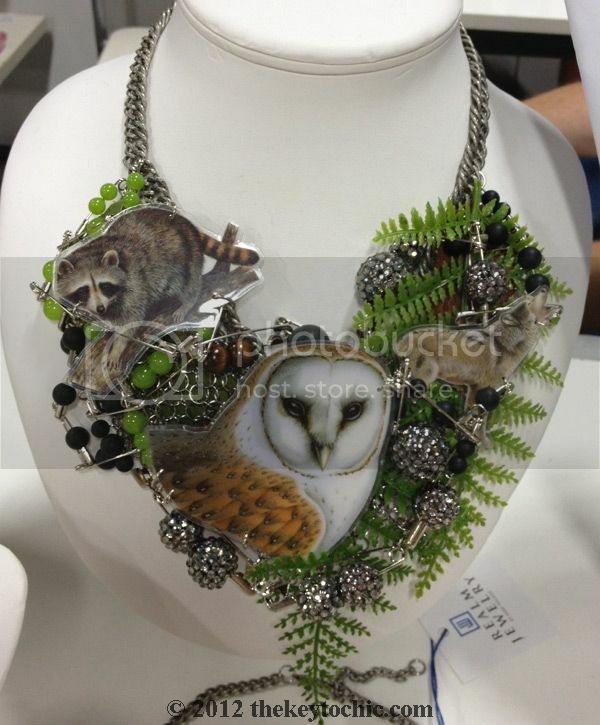 Their youthful take on trends, budget-friendly prices, and their offbeat prints make them a personal favorite. 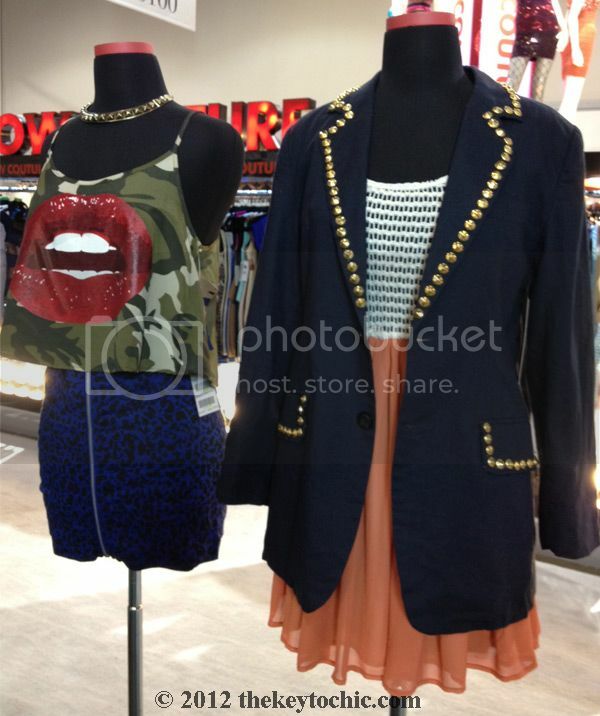 A studded schoolgirl blazer? 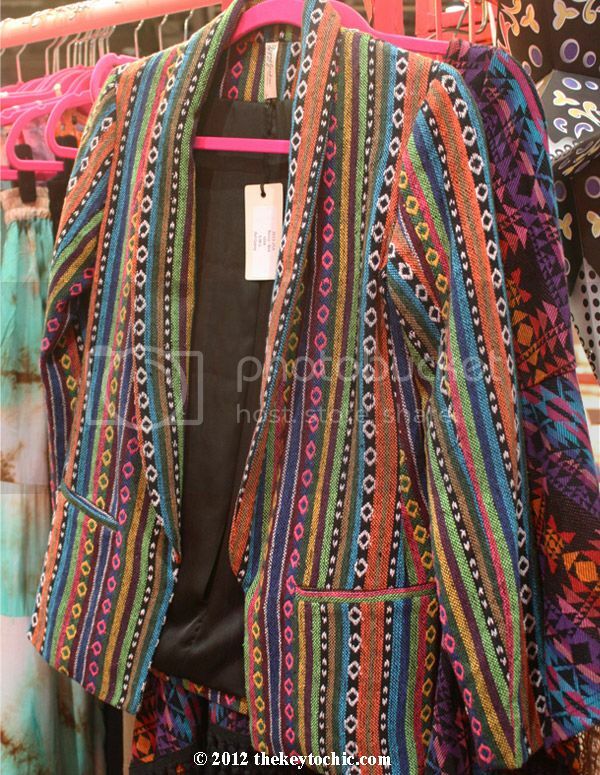 So perfect over a printed dress or A-line skirt.